We carry so much crap within us. Old beliefs about what is possible and what we’re capable of achieving. We carry old stagnant thinking that keeps us blinded from the light and stops us from dreaming big. Beliefs are the invisible architecture of our minds. A creation from within that looks rock solid and holds up what we perceive as possible. Beliefs underlie how far we’ll go in life and can carry us towards unexpected places or can keep us hiding in our safe little cave. Playing small and never daring to dream big. Let me ask you. What do you believe? Do you even know? Are you fully aware of what you believe is possible for you? Are you conscious of what you are believing about yourself or the world you live in? Do you see the web of beliefs in your mind and how they are hindering you in life? Let me invite you to drop a little bomb inside your world of beliefs. Let me invite you to allow them to fall. To come crashing down. Let me invite you to the idea that from now on you’ll stand guard, like an unconquerable warrior, holding your inner space sacred and free from old limiting beliefs and instead build your inner universe from within with beliefs that make the impossible possible again. Maybe the thought of even challenging your old beliefs scare you. Maybe you just feel a little uncomfortable. Maybe being challenged provokes more resistance within you and you get triggered. That’s the point. Being triggered points you to your own thinking. 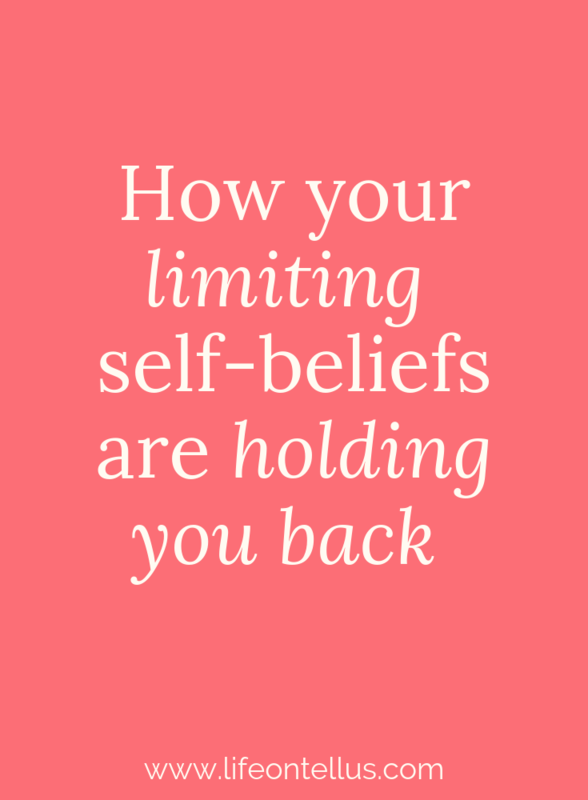 To your limiting beliefs. To what you believe about yourself and the world. I’m challenging you right here right now. Why are you playing small? Why are you playing it safe? Please enlighten me. Why are you choosing to do things the slow and safe way? What are you believing about taking risks? About putting yourself out there? What beliefs are you holding right now that keep you in the slow lane? Why are you holding on to it all in some weird attempt at making it look rational? I’m here to challenge you. I’m not here to be liked or popular. I couldn’t care less actually about raving fans. What I do care about is you shining like a supernova and I’m called to challenge you to rise. To step into who you were meant to be. I’m here to call you to stand up, hold your head high and stop believing the crap you’ve been telling yourself. Enough with excuses. Enough with rationalizations that don’t even make sense. Enough with not playing full out. Enough. So again, what are you believing about your capabilities? What do you believe is possible for you? What feels impossible to achieve…but that you would love to achieve? What dream do you have that every time you think about it, it gives you a twinge of nausea and fear creeps in? From now on I’m calling you to expand. To expand your thinking and challenge every belief you carry. From now on I’m challenging you to claim your dream and hold on to it as if your life depended on it. Because it does. All you have to do is listen. Listen to your own thinking. Listen to how your beliefs are manifested in your reality. Where in your life are you contracting? Where in your life are you holding back and settling for less? Where in your life are you scared as hell to ask for more? What dreams do you have that feel are not meant for you to dream? There. In those places, you’ll find your cathedral of beliefs. When beliefs are questioned we experience fear. We feel uncertain and indecisive. Our instinct is to settle for mediocrity and what we feel as normal, as believable, as safe. There is where your work begins. The work of dismantling the mental structure of beliefs and opening space for new fresh thinking to come in. But you have to start inside. By looking within. Start there. Look there. Begin there. Within.